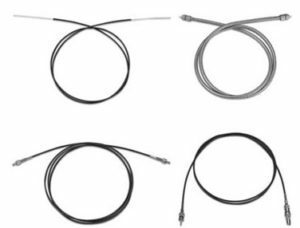 Conax Technologies has adapted our proven soft sealant capability to include the ability to compress a soft sealant material around the outside diameter of a fiber optic cable. The fiber optic cable is encased within a rugged stainless steel sheath that protects the cable from damage during the sealing process. 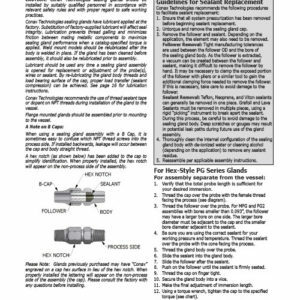 This sheath is then placed through a seal fitting (also known as a sealing gland). This process allows the fiber optic cable to be sealed without the use of epoxies and with minimal out-gassing. 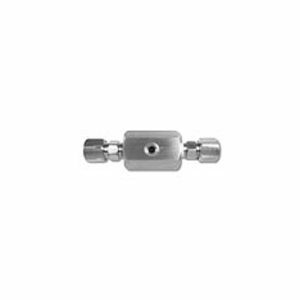 The fiber optic feedthrough sub-assembly can be used with various Conax Technologies seal fittings, including multiple hole fittings and can be adapted for special applications. * Protection Tubing: Standard furcation tube (black in color) is constructed of a polypropylene inner tube with a dried Kevlar¬ Aramid yarn strength member and a 3.0 mm outer polyethylene jacket. 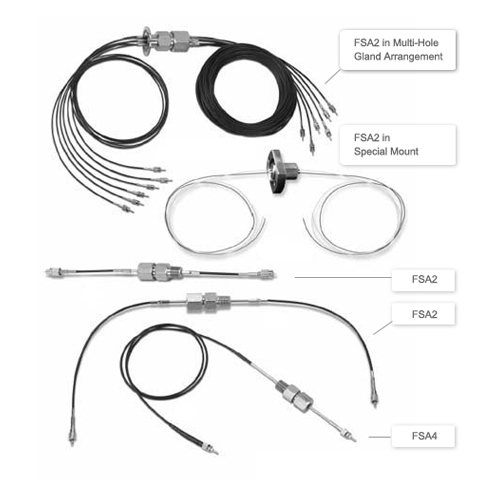 * Models FSA2 and FSA4 are available with a low-outgassing furcation tube. Please specify FSA2B or FSA4B for this feature. * Temperature Rating: -4°F to +185°F (-20°C to +85°C). Higher temperature models are available in some configurations. Please consult factory.